At Royston Davies we offer a completely unique service to every client. 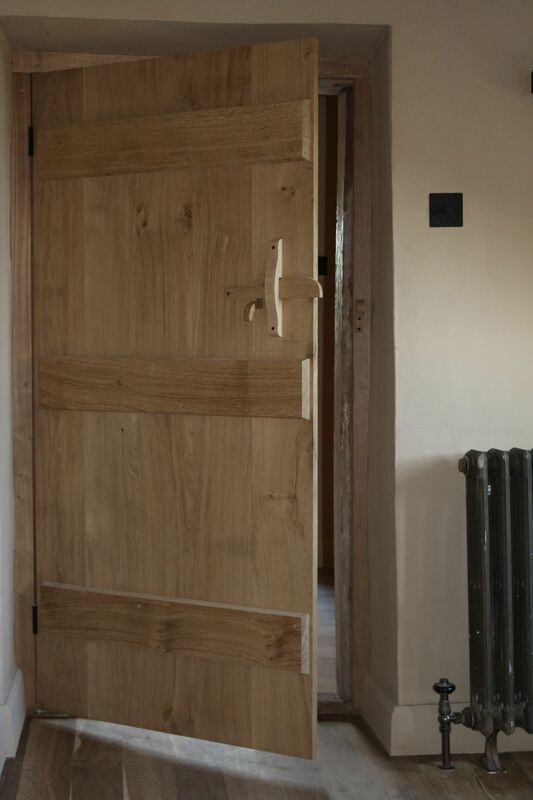 In the case of internal doors this includes the construction of your door, its style and mouldings and finally the finishes and hardware; from a solid Oak Ledged and Braced door fumed, oiled and finished with blacksmith made strap hinges, rosehead nails and an iron thumb latch to Tulipwood panelled doors with traditional double tenon joints, factory finished in a colour of your choice and fitted with brass hardware. 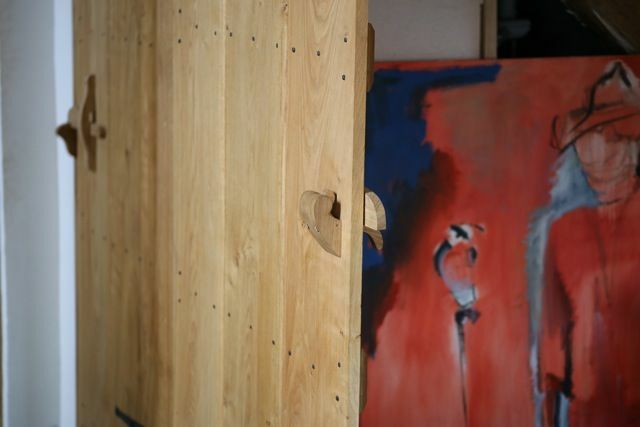 The nature of this service means we can always offer what our clients need. 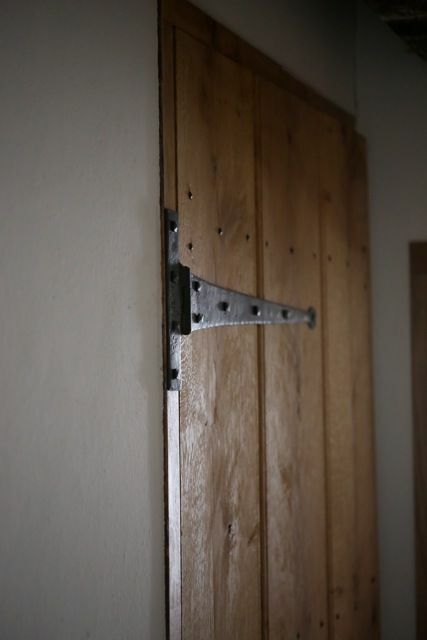 The traditional thumb latch is centuries old. 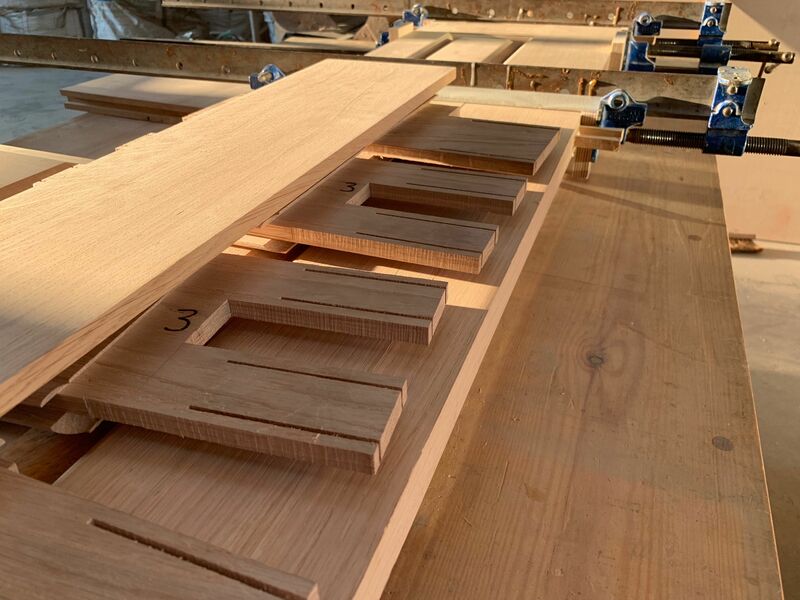 We meticulously handcraft each of the five individial components in each latch. 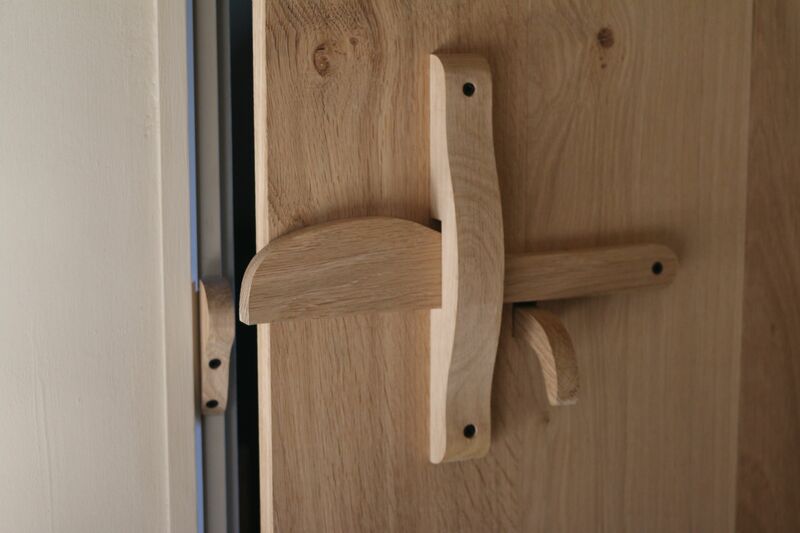 The intricacy and detail of each latch is testament to the skills and experience of our team of joiners. 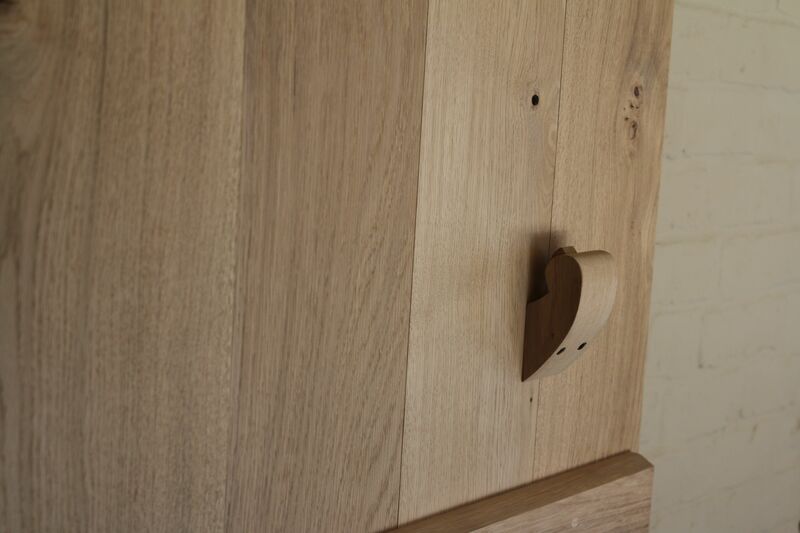 What sets our joinery apart from most is our attention to detail. 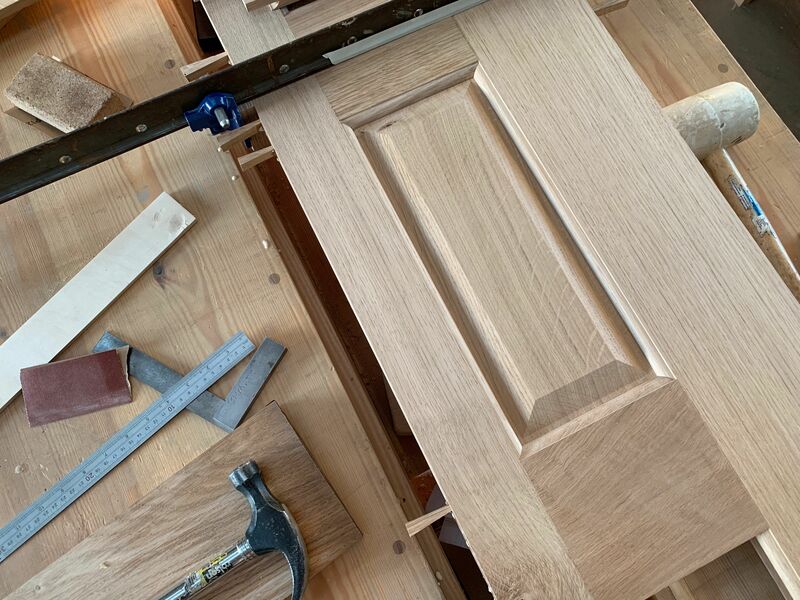 Whether it’s the blacksmith made strap hinges and handmade rosehead nails in our Ledged and Braced doors or our handmade Oak thumb latches that can be fitted to unfinished or painted doors, we are able to add traditional touches that give our doors an authentic feel.